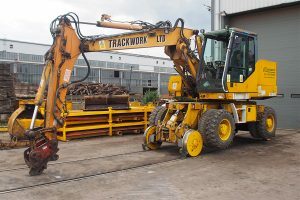 We have a range of specialist road/rail equipment available for hire along with associated attachments. 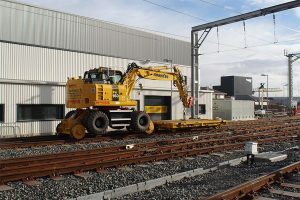 We are qualified under the On-Track Plant Operations Scheme (POS) allowing us to operate our machines on Network Rail infrastructure. If required, we can provide a lift planning service and 24/7 fitter cover. Particularly suitable for tandem lifting, towing trailers, excavating and ballasting. If you require further information or would like to hire rail / road equipment please contact us.